One of the best parts of vacationing in a tropical getaway is the fruity concoctions and adult friendly beverages with the ability to imbibe in them without the worry of an early meeting the next morning. These drinks are meant to quench your thirst and immerse you in the delicious tastes of what the tropics have to offer. Where you enjoy these libations is as important as what goes into them. Kick back and relax as we take a closer look at 3 of the best bars in the Bahamas. Cain at The Cove is an adult only bar located in the Atlantis Resort on the island of the Bahamas. You will be immersed in the lap of luxury at this locale. Grab your fruity concoction with your festive umbrella at the full service poolside bar. It should come as no surprise that all their cocktails are made from top shelf liquor. You can sip on yours as you sunbathe on one of their freestanding daybeds that are suspended over the water, or perhaps while you play a couple games of Blackjack at their outdoor gaming pavilion. As the name might suggest, Dune is set on a sand dune. 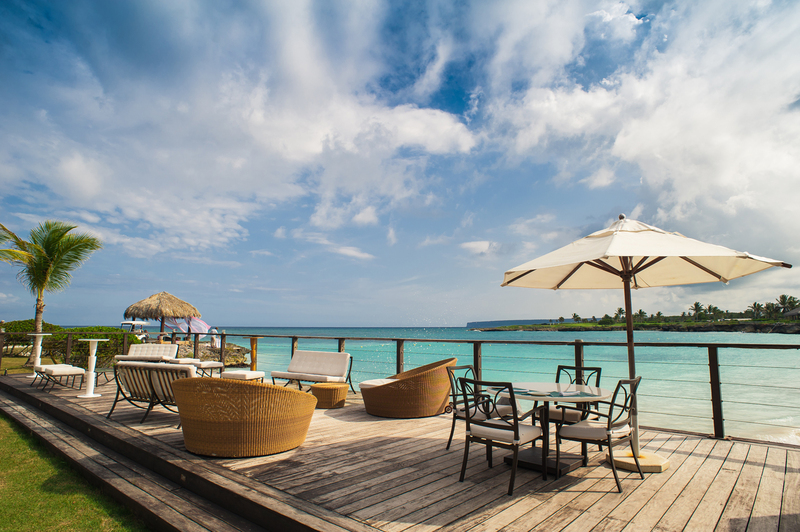 It is perfectly perched overlooking the beautiful Cabbage Beach. The setting is intimate and allows for spectacular sunset views from their massive windows. This is where you want to sit if you want to enjoy a glass of champagne or a selection from their fine vintage wine and a nice respite from the searing sun. If you are looking for a tropical drink and to catch a few rays before the sun sets, you want to sit in their outdoor bar pavilion which also provides stunning views. One of the most iconic bar locations on the island is The Landing. 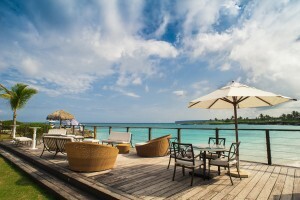 It overlooks the beautiful Harbour Island waterfront. It was built in the 1800’s in the colonial style as a mansion style residence. It is now home to a boutique resort and a favored bar and restaurant. You can enjoy a taste quenching tropical delight of a beverage with your view in the casually elegant establishment or choose something from their extensive wine list. This island has 340 sunshiny days a year. They have mastered the ability to make a great cocktail or offer you a knowledgeable recommendation for a new wine. One of the best parts of being on vacation is the ability to kick back and unwind and what better way to do that then with the sun, surf and a wonderful adult beverage of your choosing.